These skinned body parts have all had the flesh torn away revealing the vein covered muscles and tendons. All are life-size Halloween props and totally gross! 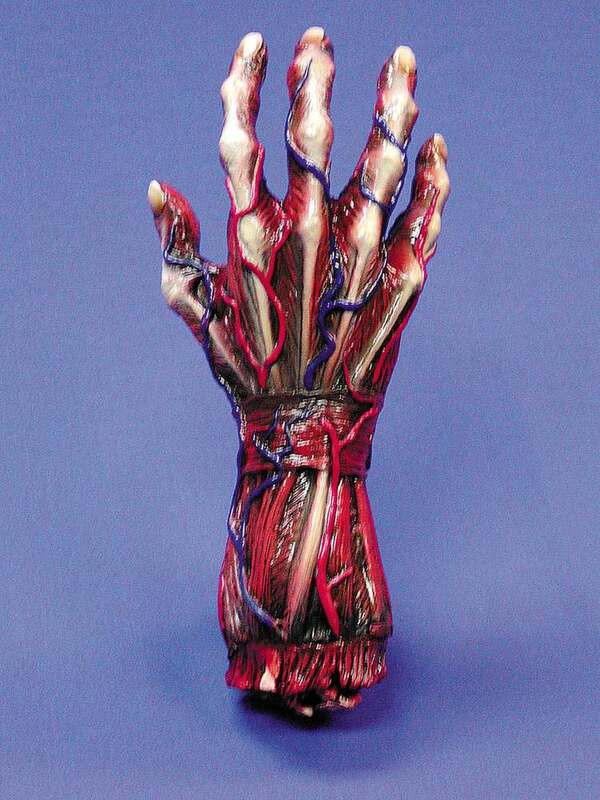 Super gruesome prop, we love it! We are going to use this on one of our dummies for the front yard (zombie themed).